Colours, flavours and fragrances. Sounds like fun, right? I was recently contacted by a global development and manufacturing company of all these fun things to assist them with the interior design of their new office space. They needed the entrance area, chill room and test kitchen “coloured in” in a hurry and their own staff had a pretty good idea of what they wanted in terms of decor. They just needed assistance in pulling everything together and acquiring the furniture pieces, so instead of hiring a decorator, they just bought a couple of tailor made mood boards from us, and booked a couple of hours in the shop together. Being colour specialists, the décor possibilities were endless. 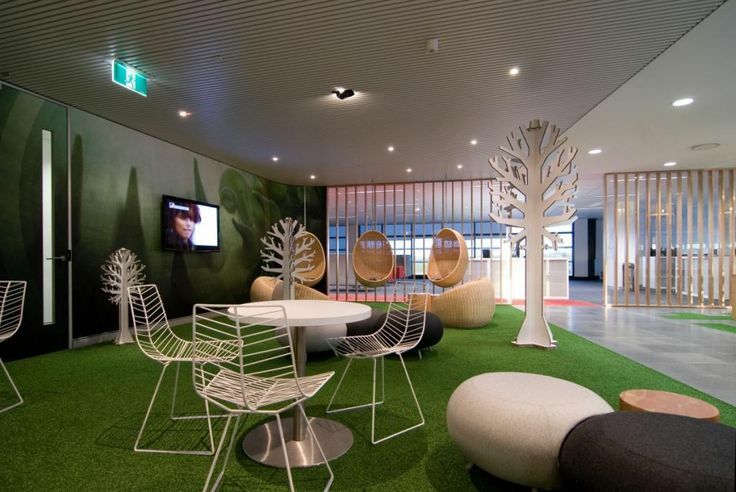 They wanted to go for a Google type of office environment, but as this is the South African office, they also wanted to pay homage to the country. In addition to combining those three elements, I had to bear in mind that they were still a corporate however, and too much fun just wouldn’t cut it. The company colours are blue and yellow, so in order to stay true to their corporate identity I decided to go with a triadic blue, yellow and red colour scheme displayed against a white and natural wood backdrop and green turf. Blue and yellow make up the largest colour areas and red offers a touch of fun. Instead of using a corporate blue however I suggested variations of duck egg and turquoises to soften the look and feel. This was paired with cast iron and blond wood, which offer a combination of current Scandinavian décor trends and a South African farm feel. The wall art bearing our proud national fauna and flora enforces pride in all who use the room and call South Africa home. A final playful African touch is represented by a set up Basotho heritage blankets from Aranda. The blankets also serve to stimulate the touch sense and the room diffuser the smell sense. While enjoying coffee and snacks in this chill area staff and visitors will be able to take a full circle journey of all the senses that make up their brand. Let me know if you would like to see the colourful farm kitchen mood board we designed for this client.